In the past year, Prince William and Kate’s elder children Prince George and Princess Charlotte have been making more and more public appearances. The royal youngsters have joined the Queen at Trooping the Colour, cheered their dad on at the polo, and also visited the hospital to meet their newborn baby brother Prince Louis last April. Royal fans are hoping that George, five, and Charlotte, three, will make their debut at the RHS Chelsea Flower Show later this year. Kate has helped design a Back to Nature garden at the show, which features a high platform treehouse – perfect for little explorers. The garden also has a swing seat, a campfire and a rustic den similar to one used by George and Charlotte in their country home, Anmer Hall. With so many nods to the young Cambridge children, could George and Charlotte join their mum at the show in May? We certainly hope so! 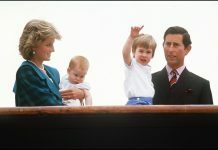 George carried out his first official engagement in the UK when he was just two years old, attending the Royal International Air Tattoo. 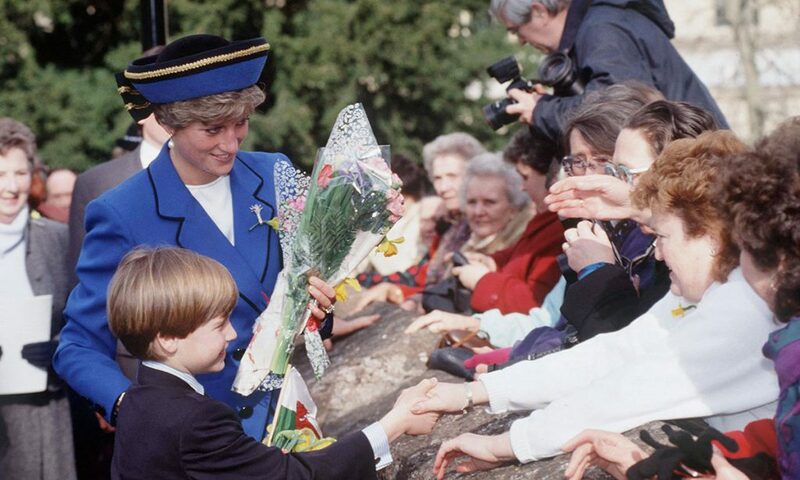 William, meanwhile, was eight years old when he joined his parents Prince Charles and Princess Diana on a visit to Cardiff. 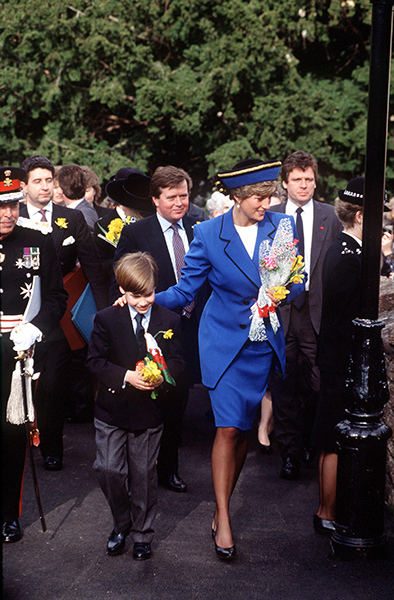 Back in March 1991, on St David’s Day, the future King accompanied his parents to the Welsh capital. 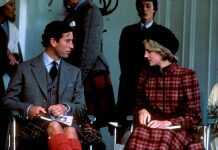 While many youngsters his age may have found the prospect daunting, William charmed crowds with his impeccable manners and boyish smile – and he looked adorable in his mini suit. The Prince’s parents were on hand to show him the ropes – practising his royal wave, shaking hands with members of the public during walkabouts, accepting flowers and cards, and meeting a range of new faces. The royals attended a service at Llandaff Cathedral in Cardiff, after which William joined his mum at a ceremony at St. David’s Hall. 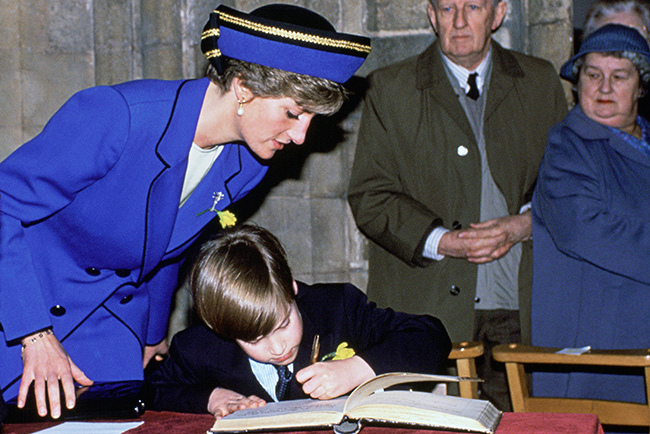 Diana gave a speech, praising Wales and Cardiff, and signed the guestbook before leaving. William followed suit, printing his name in his best handwriting – a practise he has done countless times since on official engagements.